If you need serious medical attention, call 119 immediately. 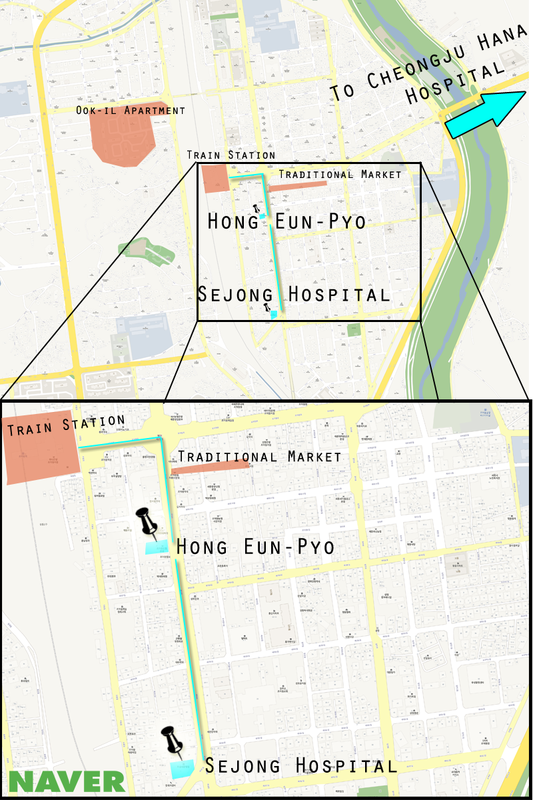 Few people speak any English at all at Sejong Hospital, which is the only hospital in the Jochiwon area that can do stitches or staples. How was the overall experience? An English teacher who visited Sejong Hospital for an injury on his head, describes it as clean and sanitary, “though not hospital-white.” It’s not brand-new, nor what you would typically encounter in America. Medical practices may also be a bit different from those in a bigger city. Yet he admits the staff was friendly and helpful, and the service fast and efficient. His visit took a total of 20 minutes, since there were few other patients in the waiting room around 3:30 in the afternoon. He returned to the hospital several times afterward to get his dressing changed and staples removed, and those visits were just as efficient. 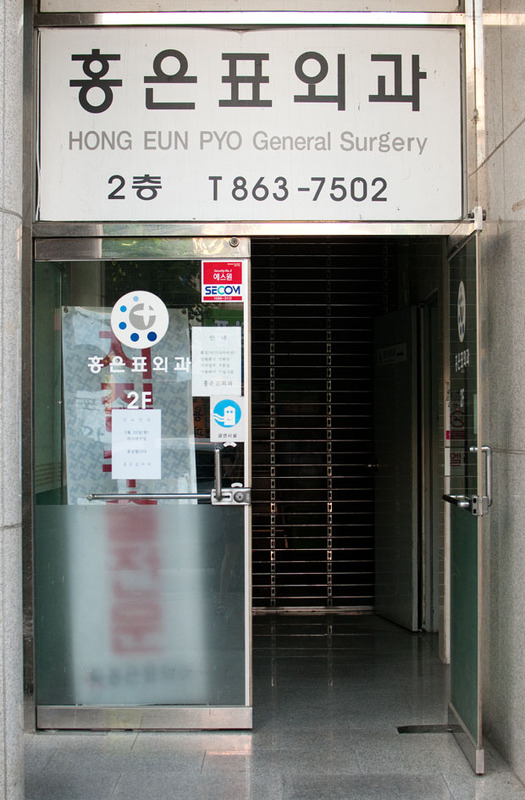 A second option is Hong Eun-pyo (홍은표), a clinic also in Jochiwon. The English level of the doctors is better than at Sejong Hospital. 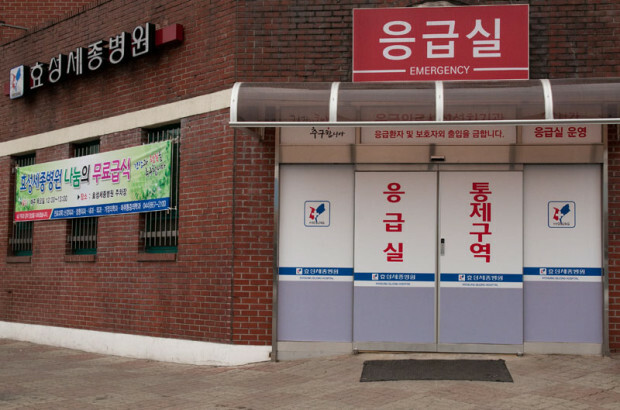 However, Hong Eun-pyo is not an emergency room, and is better for not-so urgent emergencies. Another English teacher was directed there from the Sejong hospital when he was suffering from severe pain in his legs. The doctor he encountered at Hong Eun-pyo spoke at an intermediate level of English and seemed to know many medical terms and phrases in English. 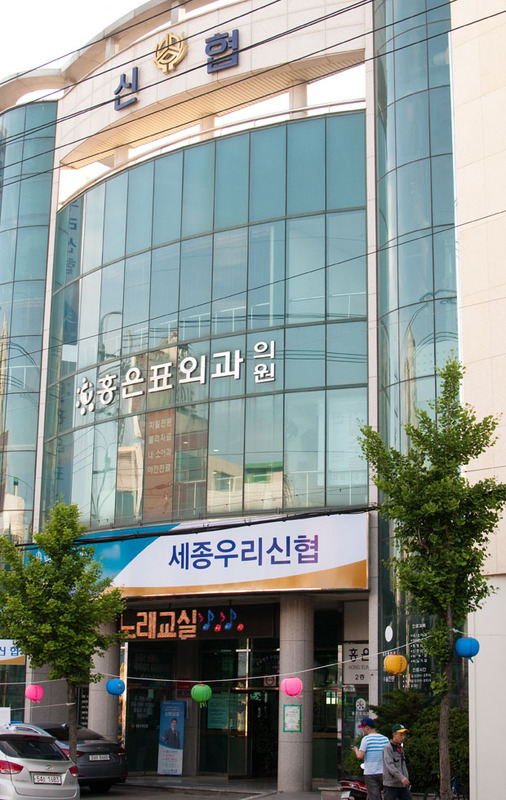 Directions: Hong Eun-pyo is located on the second floor of Shinhyup bank (신협 은행). From Jochiwon Station go straight to the roundabout with the Nonghyup and turn right. 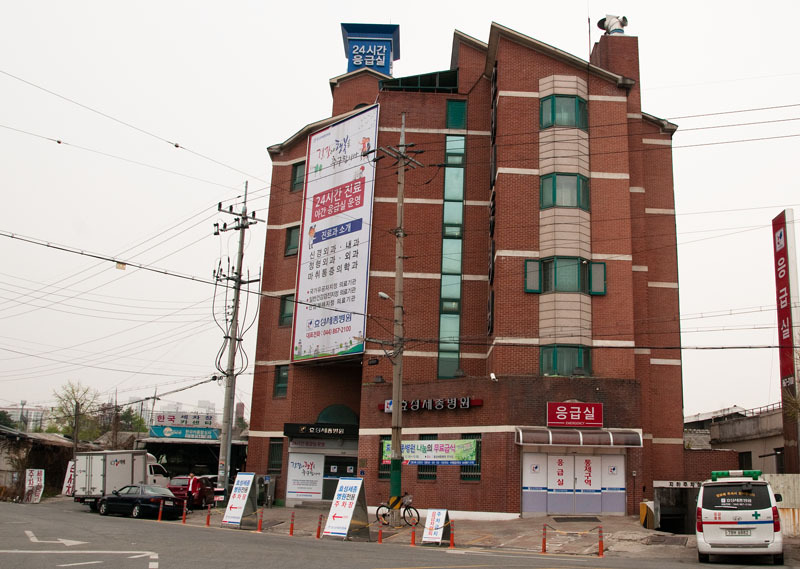 The hospital will be on your right on the second floor of Shinhyup bank (신협 은행). In a situation requiring an overnight stay, you may be referred to Hana Hospital in Cheongju (청주하나병원). A TALK scholar living in Jochiwon, spent a few days here recovering from a kidney infection. The cheapest rate on an overnight stay is in a 10-bed room. Most of the doctors and nurses there speak basic English. Though we hope you are never in need of serious medical help, we hope you find this article helpful! Note: An English-Korean dictionary or smartphone app is extremely helpful if you visit these hospitals without someone who can speak Korean. You can also call Korea’s tourism hotline (dial 1330) for interpretation assistance.